The fragrance was incomparable. When Mary opened the alabaster flask and warmed the oil in her hands, it released an evocative perfume that filled the supper room. Spikenard! Judas recognized it immediately—warm. musky, sweet and spicy. A good question, if it had been asked with a pure motive. Judas, however, was a thief and his only interest in oil was converting it into cash—for himself. The poor would never have seen anything from it. Jesus knew the heart of Judas but chose to answer his question. Let her alone; she has kept this for the day of My burial. Whether Mary sensed Christ’s impending death and selected one of the embalming oils to anoint His feet, scripture does not say. Christ knew, however, and credited Mary with an act of devotion that anticipated His burial. Judas estimated the oil was worth a year’s wages. As treasurer of the group, he knew the value of commodities. Perfumes were especially expensive because many of their components—spices, herbs, flowers, fruits and resins—were imported from Arabia, China and India. 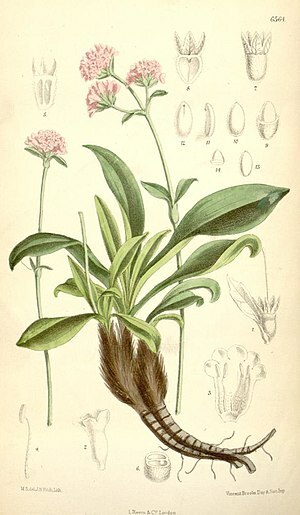 Spikenard “is one of the most precious spices of the Bible. The Hebrew for it is nerd; and the Greeks called it nardos.” Spikenard, Nardostachys jatamansi, is a flowering plant that grows high in the Himalayan Mountains. The rhizomes (underground roots) of the plant are highly aromatic and are the principal part of the plant used in making incense and perfume. Today it’s likely you can find tiny bottles of steam-distilled spikenard in health food stores. As an essential oil it is touted for many beneficial properties: sedative, laxative, anti-bacterial, anti-inflammatory, deodorant. Like many other essential oils, spikenard has both medicinal and aromatic properties. It’s possible to make the oil at home in the manner done in Mary’s day. Roots (rhizomes) of the Nardostachys jatamansi plant are mashed and then steeped in olive oil for several days. At the end of the steeping period, the fragrant oil is poured through cheesecloth to separate it from the plant material. The finished oil is stored in dark bottles to protect it from chemical changes caused by light. The challenging part of making the oil at home is getting the spikenard roots, although there are dealers online that sell the raw materials for compounding biblical incense. With the hundreds of scents and perfumes available today, I wonder if we would appreciate the ancient fragrance?